New flu vaccines have been designed by scientists to protect the world’s population against outbreaks of influenza. These two vaccines include a universal flu vaccine and a USA specific flu vaccine, meaning the end of flu season is a possibility. A single shot of the universal flu vaccine has a population protection coverage of 88% of known influenza strains worldwide. The North American flu vaccine, meanwhile, has a population protection coverage of 95% of known US flu strains. “Every year we have a round of flu vaccination, where we choose a recent strain of flu as the vaccine, hoping that it will protect against next year’s strains. We know this method is safe, and that it works reasonably well most of the time. However, sometimes it doesn’t work — as in the H3N2 vaccine failure in winter 2014-2015 — and even when it does it is immensely expensive and labour-intensive. Million of deaths caused by previous pandemics such as ‘’Spanish flu’’ in 1918, pandemics in 1957 and 1968 are all alarming for public health. According to the World Health Organisation (WHO), every year flu epidemics can lead to half a million deaths around the world. “A universal flu vaccine is potentially within reach. 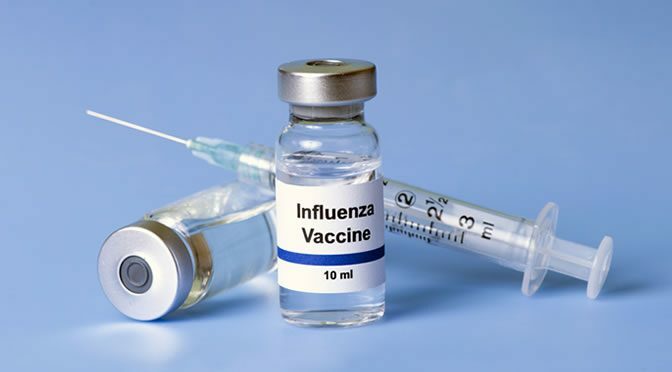 The components of this vaccine would be short flu virus fragments — called epitopes — that are already known to be recognized by the immune system. “Epitope-based vaccines aren’t new, but most reports have no experimental validation. We have turned the problem on its head and only use previously-tested epitopes. The study was published in the journal Bioinformatics (Sheikh et al., 2016).